Feel like tickling the ivories, but can't find a Steinway or Baldwin around to meet your needs? You're in luck if you've got your TouchPad handy, as Naggel Mobile's Multitouch Piano HD is available in the App Catalog for an all-too-reasonable $2.49. 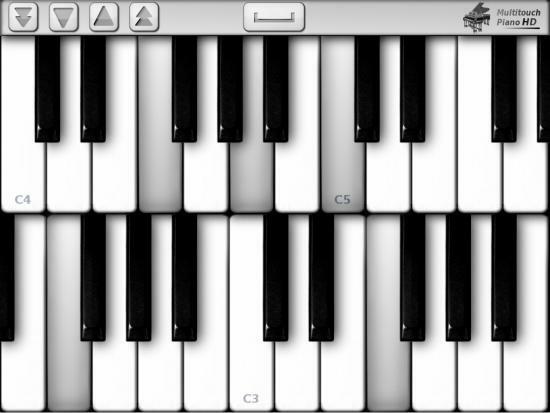 The app provides two rows of the white-and-blacks that can be quickly adjusted to access keys within six complete octaves. And with real-life sampled piano pitches, Multitouch Piano HD isn't going to sound as artificial as you might expect - especially when you start mixing in that sustain pedal. Normally all of this musical awesomeness would take a charge on your credit card, but we just so happen to have one hundred copies to give away! Contest: We have 100 copies of Multitouch Piano HD to give away. Just leave a comment on this post to enter. Contest ends next Sunday at midnight US Eastern Time, after which time we will select 100 random entrants to win. Please only leave one comment, multiple entries won’t count. Promo codes are only valid in countries serviced by the App Catalog, and users must be running webOS 3.0 or higher with the latest version of the App Catalog.